This impressionist oil painting by R. W. “Bob” Goetting is titled “View From Nikki's Window”. 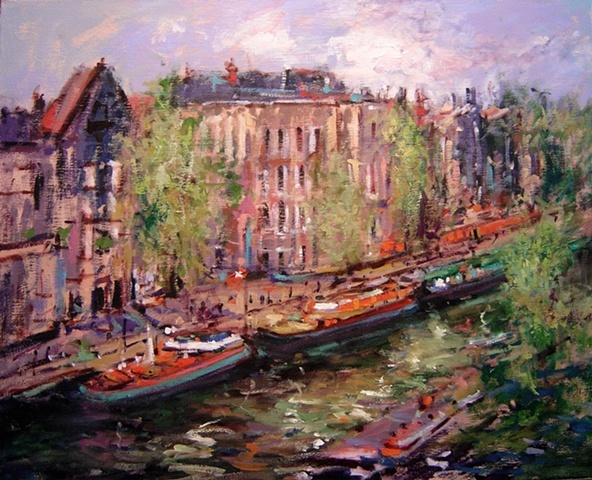 This original, oil painting for sale is painted from a photo taken from the dorm window when my daughter was in Amsterdam. The unique charm of this aquatic city is captured with brusk vitality and immediacy. Deep greens and violets are accented by gold and vermillion.